ST. GEORGE — The Beehive state was the site of a horseshoe pitching revival following World War II. 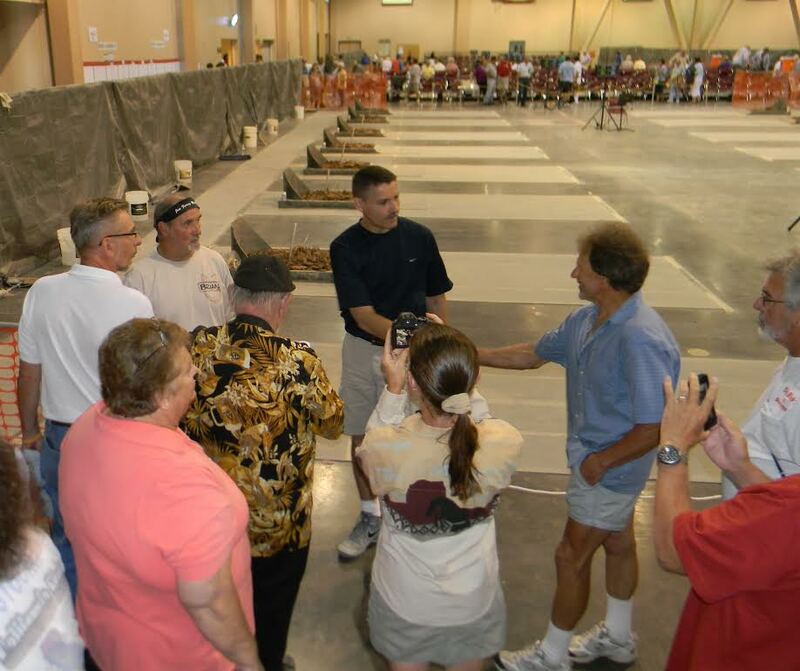 Now, for the 15th time, the World Horseshoe Pitching Championships return to Utah, July 17-29, at the Dixie Convention Center. Highlighted by the return of 21-time world champion Alan Francis, the nearly two-week event will include many of the top horseshoe pitchers in the world, along with a robust amateur field ranging in age from 6 to 92 years old. There are 1,041 athletes registered from 47 states and five countries for this month’s event. Utah will supply the most horseshoe pitchers (124), but California (121) and Colorado (67) will bring a significant number of athletes as well. The economic impact is projected to be between $3 million and $4 million due to approximately 3,000 out-of-town visitors who are staying an average of seven nights at local hotels. No other state has hosted this event as many times as Utah. Between 1947 and 1966, the championships were held in Murray 13 times – including 11 consecutive years (1949-59). Later, the championships were rotated to new locations each year based on bids from interested host cities. St. George last welcomed the horseshoe-pitching world in 2013, when Francis set a world record by posting ringers on 91.2 percent of his pitches. Francis, considered by many the greatest horseshoe pitcher of all time, wasn’t the first legend to grace the Beehive state. Between 1947 and 1959, Fernando Isais and Ted Allen captured 12 of the 13 world titles, including six straight from Isais (1947-52). The sport’s greatest rivalry – only one other horseshoe pitcher laid claim to a championship during the years 1930 and 1959 – helped put horseshoes back on the map after only being held twice between 1936 and 1945 due to the Great Depression and World War II.